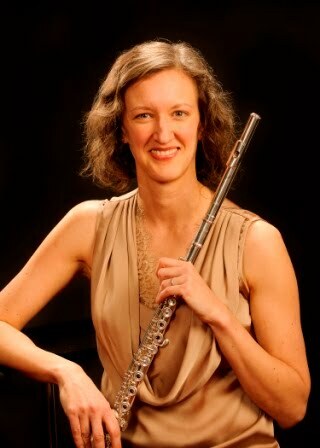 Nicole Riner, flutist: What can you do with a music degree? When I was in high school, I decided not to major in music. I knew I didn't want to be a band director, and someone had told me you had to practice 6 hours a day to get into an orchestra, so I didn't think I had either the discipline nor the skill to win an orchestral job. And so that was that, because I had no idea what else you could possibly do to earn a living as a musician! Thankfully, I loved playing the flute too much to quit, so with some support from my flute professor, who was willing to teach me as a non-major, and a strong desire to be happy, I signed back on to music in October of my freshman year in college. Fast forward 26 (?!) years, and I am thrilled to be not only a very busy flutist and teacher, but a career coach to musicians and in the midst of creating an entrepreneurship program for the music department where I teach at University of Wyoming. But before adults ever get to the point where they're asking for career advice from me, they have to survive high school and trust that music is the right major, even if they don't know yet exactly what they'll pursue after graduation. Arts Administrator: ensemble executive director, non-profit organizer, festival director, marketers, 😁development directors, etc. **What am I missing, friends? Chime in below and help make this list more complete! I remember having this conversation with you even when I was finishing my degree in music ed. Thanks for showing everyone what else it out there.